A wonderful, family event from 10 am until 6 pm in the grounds of St Ouen’s Manor. A full day of entertainment for both children and adults of all ages. SHEEP RACING IS BACK!!! Why spend money on a boat to Sark when we bring you St Ouen’s version of sheep racing. With a new and improved course for them, get ready to put bets on your favourite sheep!!!! Local Craft Stalls with an array of Genuine Jersey Products plus way more. There’s a little something for everyone! Kids Zone – featuring bouncy castles and more plus vintage fairground rides for all ages even toddlers! Food Zone and Beer/Pimms and Champagne Tents!!! With different local live bands ever hour to entertain you throughout the day!! 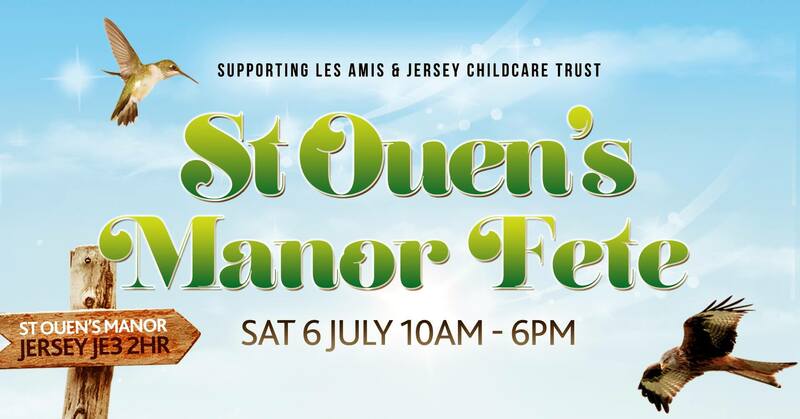 Keep an eye out on the St Ouen’s Manor Fete 2019 Facebook page for the line up! ….AND way more to be announced!! FREE Parking is available surrounding the manor though may be a short walk to the entrance. There will be a drop off for those with mobility problems. Any profits made on the day will be split between Les Amis and Jersey Child Care Trust.